RMRIMS Called Walk-in Interview for Recruiting 25 vacancies of Scientist C, PTO Jobs. The Interview will be held on 13th Feb 2019 to 15th Feb 2019 at the venue mentioned below. All qualified, as well as Interested prospects, can attend this Walk-in. Additional Detailed Info Pertaining to Educational Qualifications, Age Restriction, Selection Procedure, Test Pattern, Syllabus for Rajendra Memorial Research Institute Medical Sciences (RMRIMS) Recruitment 2019 Scientist C, PTO Exam shown in this article is pointed out below. 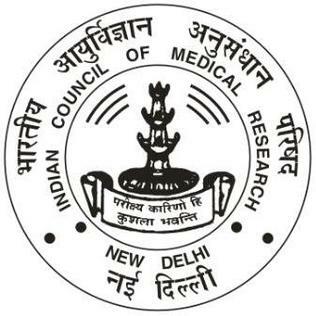 RMRIMS Recruitment 2019 – Walk in for Scientist C, PTO Posts in Rajendra Memorial Research Institute Medical Sciences. Candidates are invited by Rajendra Memorial Research Institute Medical Sciences (RMRIMS) to attend walk-in-interview to be held on 13th Feb 2019 to 15th Feb 2019 for 25 vacancies. MBBS degree recognized by MCI or equivalent degree from recognized University with four (4) years R&D/ teaching experience in the relevant subjects after MBBS degree. Graduate in Science/Epidemiology/Public Health from a recognized University with 5 years’ work experience in a recognized institution (or) Master’s degree in Epidemiology/Public Health from a recognized University. Graduate in Science from a recognized University with 5 years’ work experience in a recognized institution (or) Master’s degree in Epidemiology/Public Health from a recognized University. Graduate in social sciences/Social Work/ Sociology / Medical Sociology / Psychology / Anthropology from a recognized university with 5 years’ work experience from a recognized institution. 12th pass in relevant science subjects. 12th pass in science subjects and must have done Radiographer/X-ray Technologist course of minimum one-year duration from a recognized institution. Intermediate or 12TH pass in science stream from a recognized board with DOEACC ”A” level from a recognized institute and/or 2 years’ experience in EDP work in Government, Autonomous, PSU or any other recognized organization. High School or equivalent with 5 years’ experience in the health field from any recognized institute or organization. High School or equivalent with Five years’ experience in the related field from Government Institution/Recognized institute. Certificate of one-year training in the DMLT from a recognised institute. Matric/S.S.C or equivalent from a recognized board. 12th Pass or equivalent from a recognized board with 5 years’ experience of administrative work or Graduate in any discipline with 2 years’ experience of administration work. Those selected for this RMRIMS Recruitment will get pay Scale of As Per Rules per month. Job Seekers who fulfil all the eligibility conditions and desired to apply against RMRIMS Scientist C, PTO notification may attend for walk-in interview along with their original documents, one set of self-attested photocopies to prove their educational qualification including attempt certificate, age etc. Check Interview Venue, Date & Time which are mentioned below.